Trafficking of biological material across membranes is an evolutionary conserved mechanism and is part of any normal cell homeostasis. Such transport is composed of active, passive, export through microparticles, and vesicular transport (exosomes) that collectively maintain proper compartmentalization of important micro- and macromolecules. In pathological states, such as cancer, aberrant activity of the export machinery results in expulsion of a number of key proteins and microRNAs resulting in their misexpression. Exosome-mediated expulsion of intracellular drugs could be another barrier in the proper action of most of the commonly used therapeutics, targeted agents, and their intracellular metabolites. 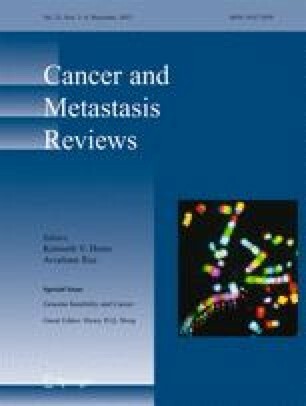 Over the last decade, a number of studies have revealed that exosomes cross-talk and/or influence major tumor-related pathways, such as hypoxia-driven epithelial-to-mesenchymal transition, cancer stemness, angiogenesis, and metastasis involving many cell types within the tumor microenvironment. Emerging evidence suggests that exosome-secreted proteins can also propel fibroblast growth, resulting in desmoplastic reaction, a major barrier in effective cancer drug delivery. This comprehensive review highlights the advancements in the understanding of the biology of exosomes secretions and the consequence on cancer drug resistance. We propose that the successful combination of cancer treatments to tackle exosome-mediated drug resistance requires an interdisciplinary understanding of these cellular exclusion mechanisms, and how secreted biomolecules are involved in cellular cross-talk within the tumor microenvironment.